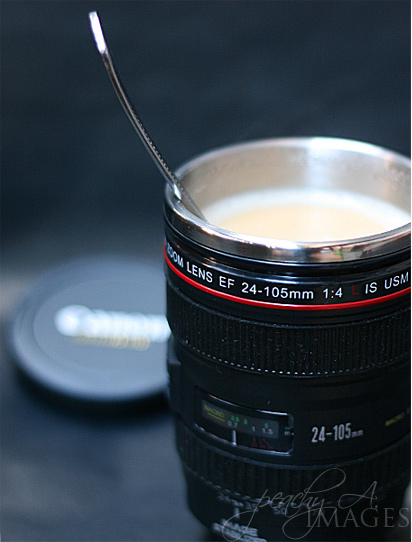 Two of my favorite things are coffee and food photos….hee..as if you guys didn’t already know that. This week has been,well, busy. I’m still trying to get the hang of having five blogs. I’ve drank more cups of coffee and more cans of coke zero than usual. I know I made a promise to lessen my caffeine intake but …you know how it is.. I don’t even have a single recipe for this week. Can you believe that? I didn’t cook a thing beside Ykaie’s soft-boiled eggs this week. The whole week passed by without even me knowing. Where did it go? The beautiful thing about not being able to notice that time is passing by is that it’s only a hundred more days before I get to see peanutbutter♥ again. One other thing is that this week my mojo seems to be missing. All I wanna do is get some sleep and a large cup of Matcha froyo…. and probably some more coffee. Peachy, LOL … seriously first time I know the lens could be used this way…. where on earth did you get this mug. 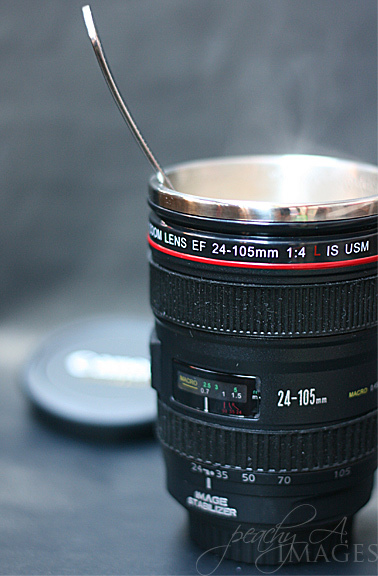 i also want one, but couldn’t sacrifice my lenses. are there any mock ups i could buy? I just love your heart hole in one…I used to make these for my children all the time. Brings back great memories. Thank you for sharing and Happy Valentines Day!